Published by George Newnes 8-11 Southampton Street, Strand London 1969. 1969. Fine in Very Good dust wrapper with hairline grazes to spine ends and top front panel. Member of the P.B.F.A. 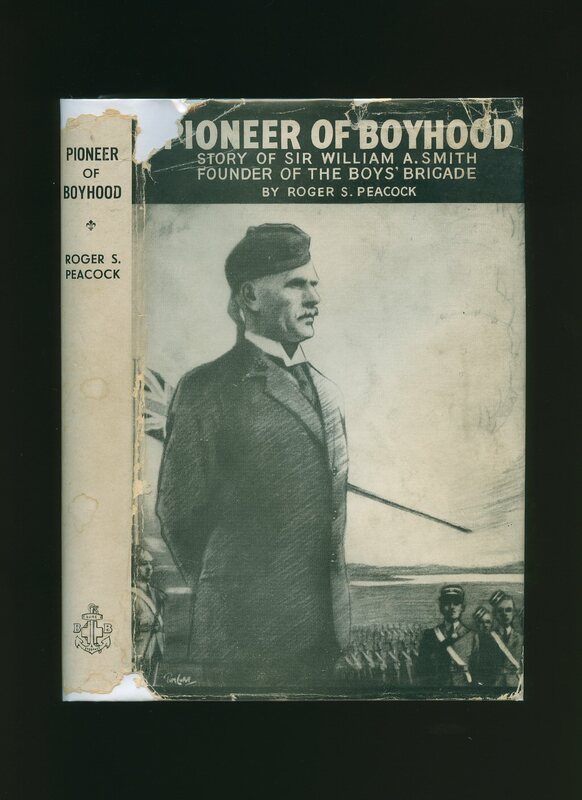 Published by The Boy Scouts Association in Conjunction with Evans Brothers Ltd, London First Edition 1938. 1938. First edition hard back publisher's original light brown cloth covers, blue lettering to spine and upper panel. Folio 12" x 9¾" 84 pp. Well illustrated. General light soiling to covers, five names filled in 'Troop or Patrol' leaf. In Very Good condition, no dust wrapper. Member of the P.B.F.A. First edition hard back publisher's original light brown cloth covers, blue lettering to spine and upper panel. Folio 12" x 9¾" 84 pp. Well illustrated. Name and photograph space not filled in, without any rubs or marks whatsoever and in superb Fine condition. Member of the P.B.F.A. The Girl Guides Association 25 Buckingham Palace Road, London Second impression 1928 [First edition 1928]. 1928. 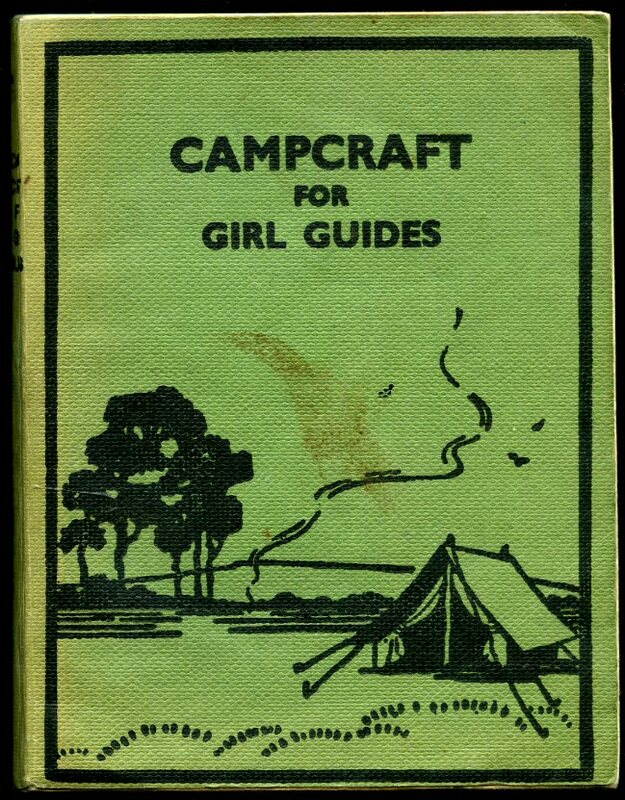 Publisher's original stapled light turquoise card covers, black lettering and silhouette of two Girl Guides to upper panel. 8vo 7¼" x 5" 56 pp. Small stain across lower corner of upper panel, contents in Nr. Fine condition. Member of the P.B.F.A. The Girl Guides Association 17-19 Buckingham Palace Road, London Second edition 1945 [First edition 1940]. 1945. 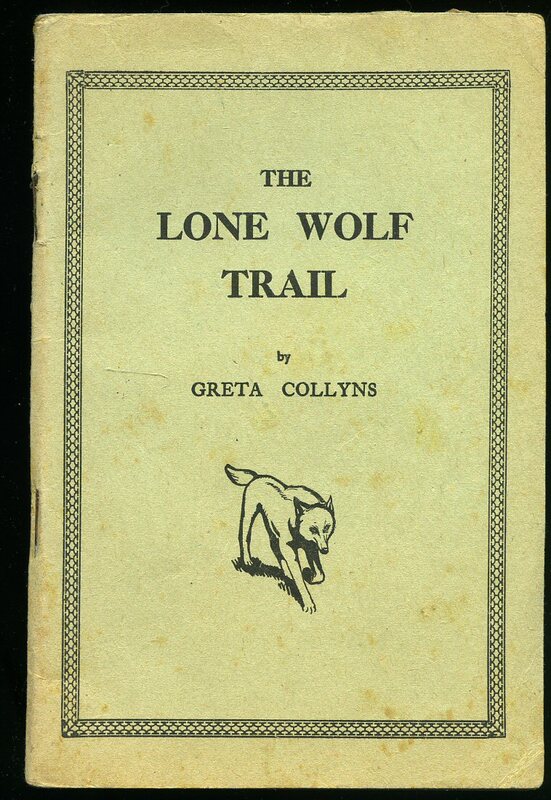 Publisher's original stapled light turquoise paper covers, black lettering to upper panel. 8vo 7¼" x 4¾" 96 pp. Monochrome sketches throughout. Light foxing to outside of card wraps and fore edge and in Very Good condition. Member of the P.B.F.A. 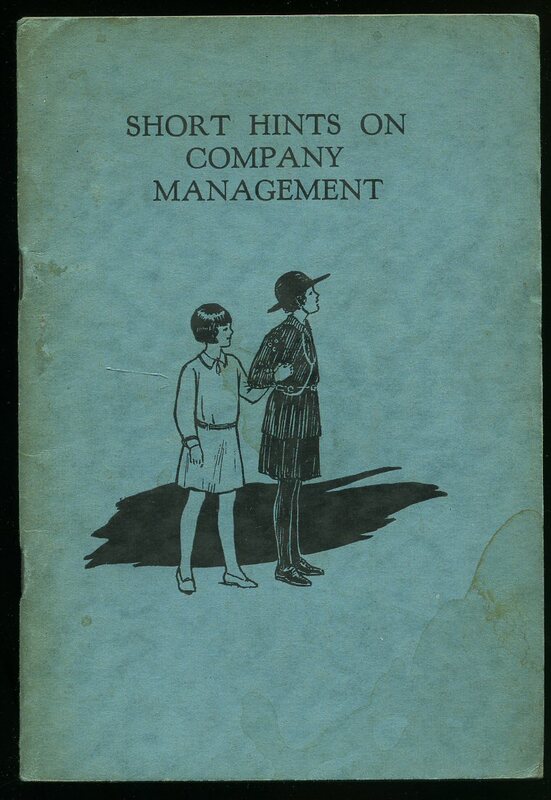 Published by Brown, Son & Ferguson, Ltd., 52-58 Darnley Street, Glasgow First edition 1932. 1932. 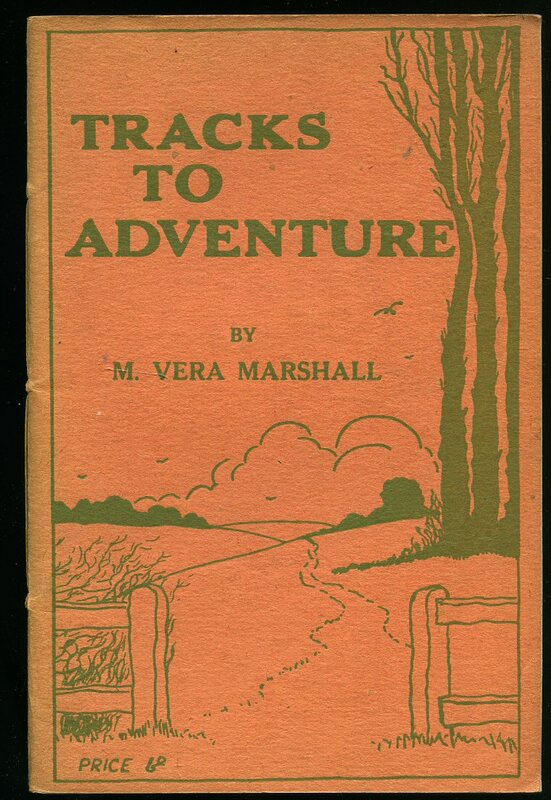 First edition publisher's original sewn terracotta card covers, pale green lettering and country scene to upper panel. 8vo 7¼" x 4¾" 64 pp. Silhouettes throughout. In Very Good condition with light stain to foot of lower panel. Member of the P.B.F.A. The Religious Tract Society 4 Bouverie Street and 65 St. Paul's Churchyard, London Second edition 1912 [First edition 1912]. 1912. 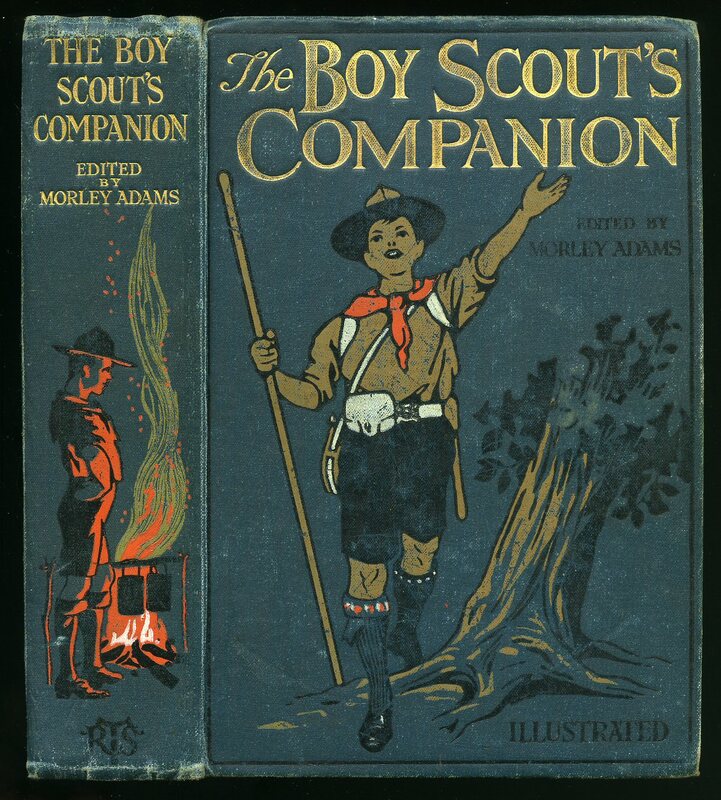 Hard back binding in publisher's original dark aquamarine cloth covers, gilt lettering to spine and upper panel, scout standing next to a camp fire to spine. 8vo 8" x 5½" 408 pp. Over 200 monochrome illustrations. Heavy foxing to end papers and page edges, spine tips and corners toed in, hinges starting. Scarce. Member of the P.B.F.A. 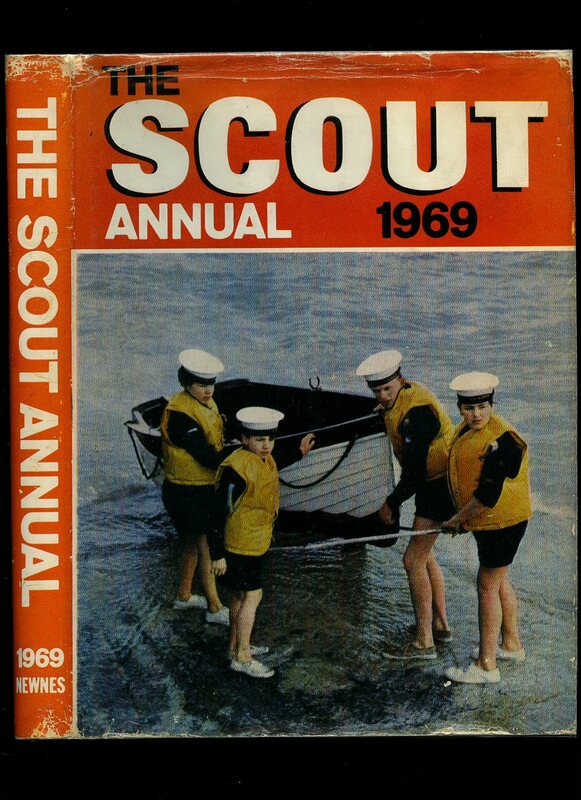 Published by The Boy Scouts Association 25 Buckingham Palace Road, London Third Edition 1958. London 1958. Hard back binding in publisher's original duck egg blue canvas effect paper covers, black title and author lettering to the spine and the upper panel. 8vo. 7½'' x 5¼''. Contains [x] 178 printed pages of text with monochrome illustrations throughout. Ownership marking inside the front cover, spine and edges a little darkened, corners bumped, no dust wrapper. Member of the P.B.F.A. Published by The Boy Scouts Association 25 Buckingham Palace Road, London Second Edition 1955. London 1955. Hard back binding in publisher's original blue canvas effect paper covers, black title and author lettering to the spine. 8vo. 7½'' x 5¼''. Contains [x] 178 printed pages of text with monochrome illustrations throughout. Very Good condition book in Very Good condition dust wrapper with sun fading down the spine, not price clipped 7/6, dust wrapper protected. 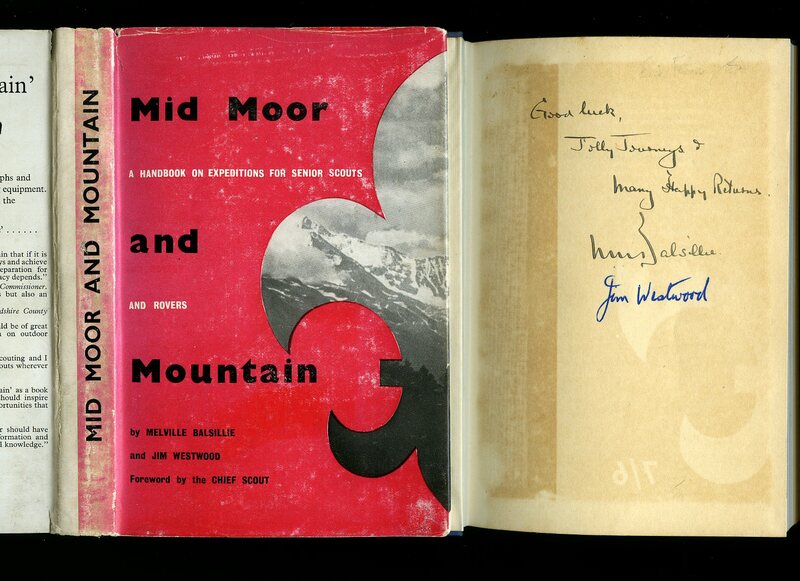 SIGNED by both authors to the front free end paper 'Good luck, Jolly Journeys and many Happy Returns - Melville Balsillie and Jim Westwood.' Member of the P.B.F.A. 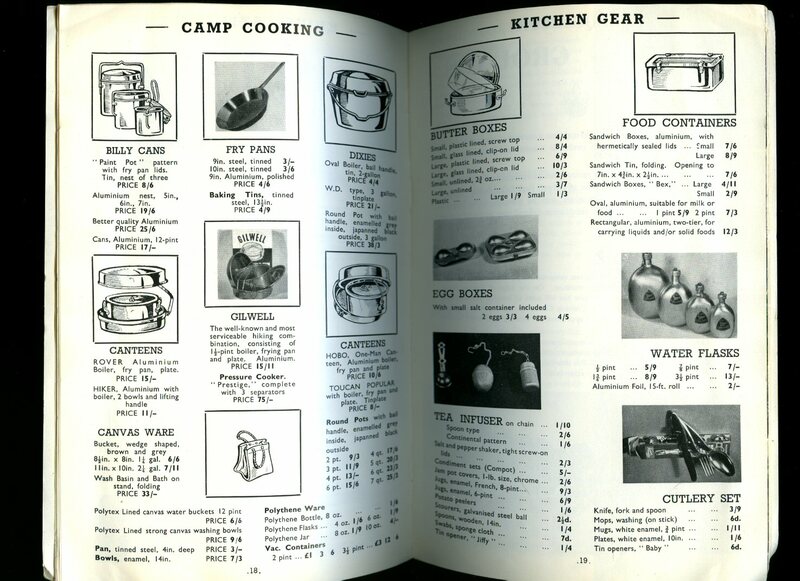 Printed by The Scout Shop, Imperial Headquarters, 25 Buckingham Palace Road, London 1948. London 1948. Publisher's original stapled illustrated card wrap covers [softback]. 8vo. 8½'' x 5¼''. 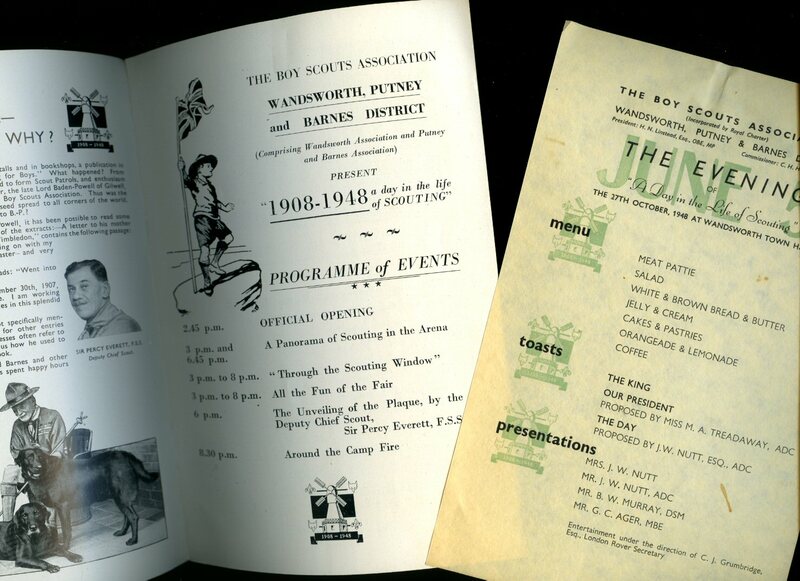 8 page Programme with monochrome illustrations and photographs. In Very Good condition, no dust wrapper as issued. Member of the P.B.F.A. The Boys' Brigade Abbey House, Westminster, London First edition 1954. 1954. First edition hard back binding in publisher's original crimson cloth covers, gilt lettering to spine, gilt B.B. motif to upper panel. 8vo 8½" x 5¼" 175 pp. Monochrome photographic illustrations on glossy silk art paper. List of names written in different hand to front end paper. Very Good condition book in Very Good condition dust wrapper with small chips and associated closed tears to corners and spine tip, not price clipped 10s. Dust wrapper supplied in archival acetate film protection. Member of the P.B.F.A. 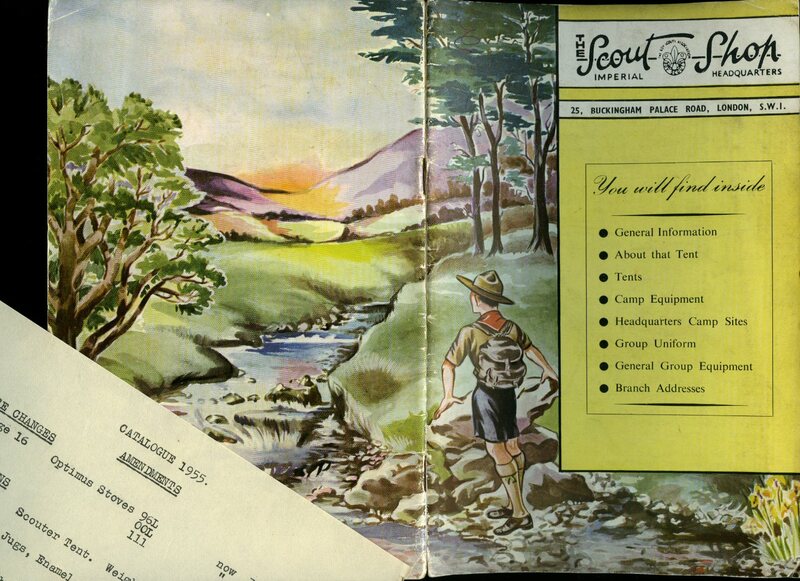 Printed by The Scout Shop, Imperial Headquarters, 25 Buckingham Palace Road, London 1955. London 1955. Publisher's original stapled colour illustrated card wrap covers [softback]. 8vo. 8½'' x 5½''. Contains 38 page illustrated catalogue listing Scouting paraphernalia to purchase, other monochrome illustrations and photographs throughout. In Very Good condition, no dust wrapper as issued. Member of the P.B.F.A. Published by The Girl Guides Association 17-19 Buckingham Palace Road, London Revised Edition 1955. 1955. Publisher's original illustrated green card wrap covers [softback]. 8vo. 5½'' x 4¼''. 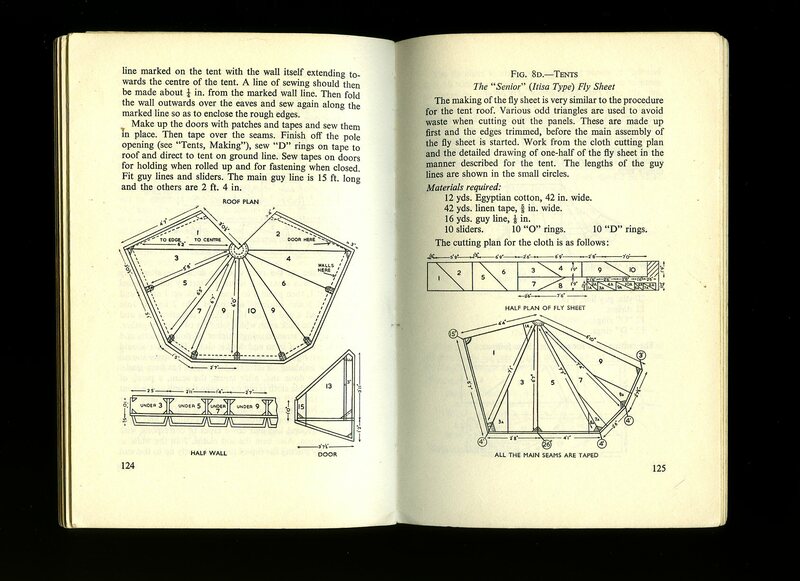 Contains 313 printed pages of text with simple monochrome illustrations. Small mark to the front cover, spine sun faded and in Very Good condition, no dust wrapper as issued. Member of the P.B.F.A. Published by Thomas Nelson and Sons Ltd., 35-36 Paternoster Row, London circa 1935 edition not stated. 1935. 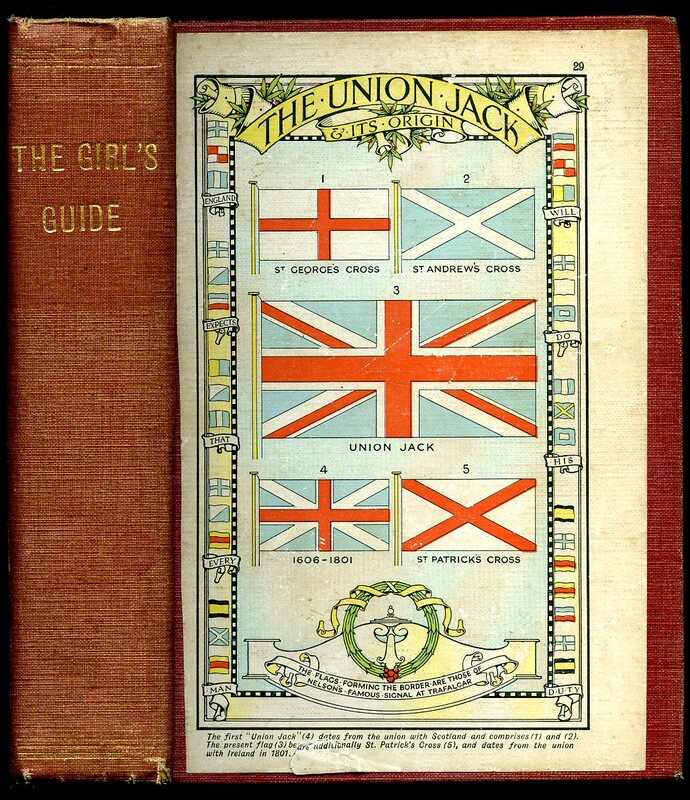 Hard back binding in brick red cloth covers, gilt title lettering to the spine, colour illustration of The Union Jack flag pasted to the upper panel. 8vo 8'' x 5¼'' 344 pp. Colour frontispiece and monochrome illustrations throughout. Rear end paper missing and in Very Good condition, no dust wrapper. Member of the P.B.F.A. 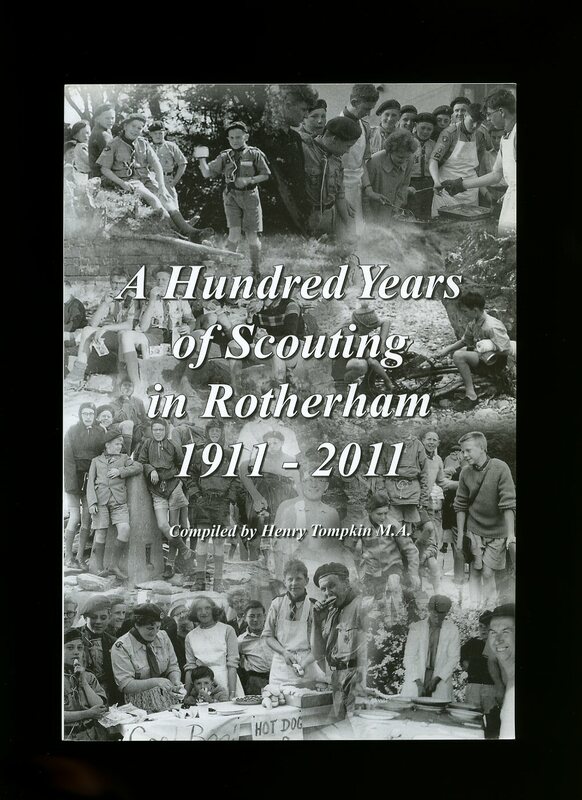 Printed by Apple Tree Print Services Ltd., Doncaster First Edition 2010. 2010. 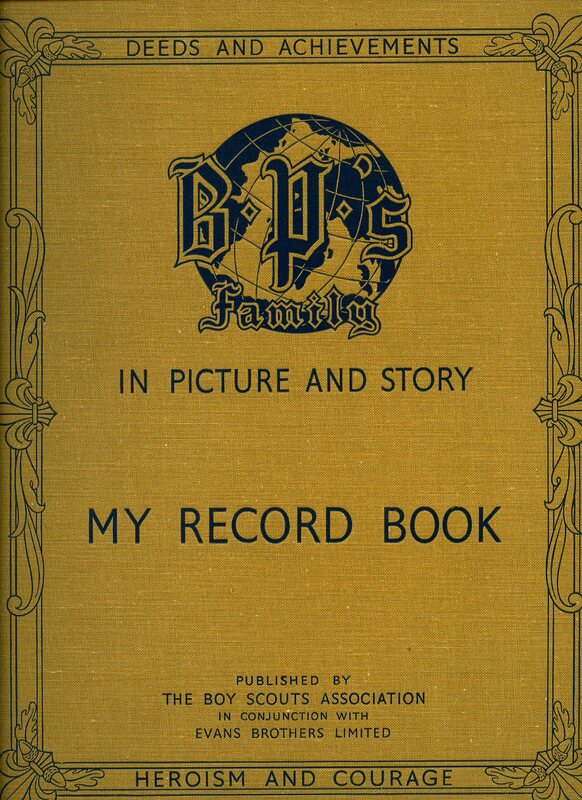 First edition in publisher's original photographic card wrap covers [softback]. 8vo. 9½'' x 6½''. Contains 80 pages with archive monochrome illustrations and photographs throughout. In Fine condition, no dust wrapper as issued, unused new book. Member of the P.B.F.A.